It is our pleasure to introduce you to Master Mechanic Dupont. We hope that you can find all the information you need to familiarize yourself with who we are, what we do and how you can find us. We promise to do our utmost to deliver our professional service in a very personalized manner and we thank you for wanting to learn more about us. Our Master Mechanic Dupont store is integrated into a popular neighborhood surrounded by houses and local businesses. We have a local feel and treat our customers like we would a good neighbour. Our store is located close to the subway and we provide transportation there as needed! 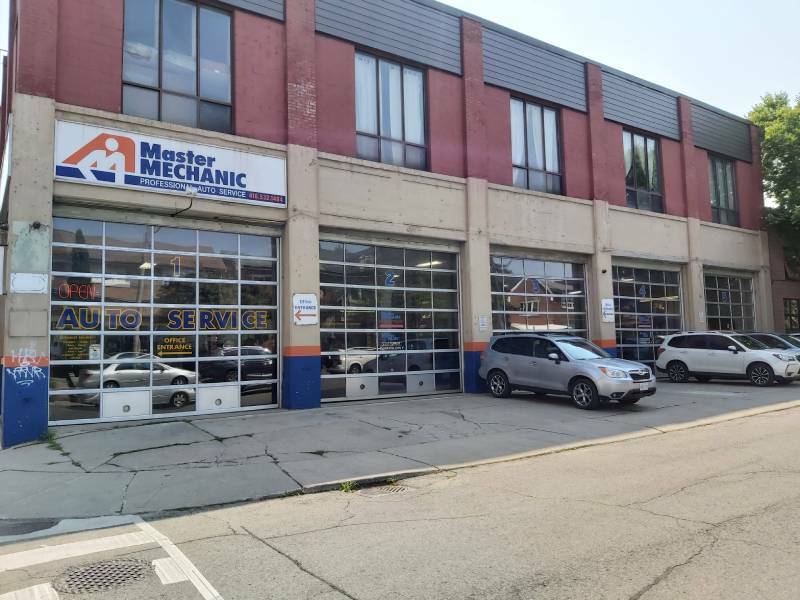 At Master Mechanic Toronto, Dupont, we pride ourselves in taking the proper time to diagnose the customers concerns and work out the best solution with them. As a customer you play a key part in the solution to your service needs. We promise to do our utmost to deliver our professional service in a very personalized manner. Our Master Mechanic Dupont store is independently owned and operated which means that we are providing a personalized service to our customers. We strive to be the only auto repair and maintenance choice for each of our clients by creating long term relationships which have been earned through consistent delivery of outstanding service quality in an environment which promotes trust, fairness and respect. It is this dedication that differentiates us from our competitors as we continually strive to deliver an outstanding customer experience to each one of our satisfied customers. "Shannon P I'm almost afraid to tell everyone how great I think they are here, 'cause then they'll get too busy. But they're amazing. So it's only fair I let you all know that. I recerntly moved into the neighbourhood, and few of my neighbours had told me to go see Frank at Master Mechanic. I dropped off my beloved beater, and he called me a few hours later and gave me a really clear explanation of what was needed, and the costs... I was pleasantly surprised at how affordable it was. He also gave me a rundown of the health of my car, which I appreciated, 'cause I have no clue about car stuff [...] "
"Julie Posluns Frank and his team are the best mechanics in the city. They are knowledgeable, professional, and go out of their way to get you driving again when you rely on your vehicle for work. I can't say enough good things about this place. It is important to have a mechanic you can trust. Frank is that guy." "Frank is awesome, Just got a transmission fluid change and he rotated our tires and swap all the broken bolts. Great price and excellent services." Excellent Services and Great Prices! "Great service and staff is very friendly and knowledgeable." "Got our brakes replaced quickly same day. Great team there, made my first mechanic visit less stressful than i thought!" "I would recommend this shop to people who want honest people performing quality work. They are not the cheapest but are very fair considering the quality of work and parts they use and the cheapest is not what we want when maintaining our vehicles especially when our kids are now driving. They have helped my wife and daughter many times when they were in a emergency situation and I was not available to help. They replaced broken wiper blades on my daughters car outside in a snow storm and didn't even charge her and repaired my wifes flat tire for no charge. When I phoned to ask why they didn't charge us anything, their reply was "because loyal customers who let us do our job properly when work needs to be done is very much appreciated". The place is very clean especially the work area which says a lot about a repair facility." 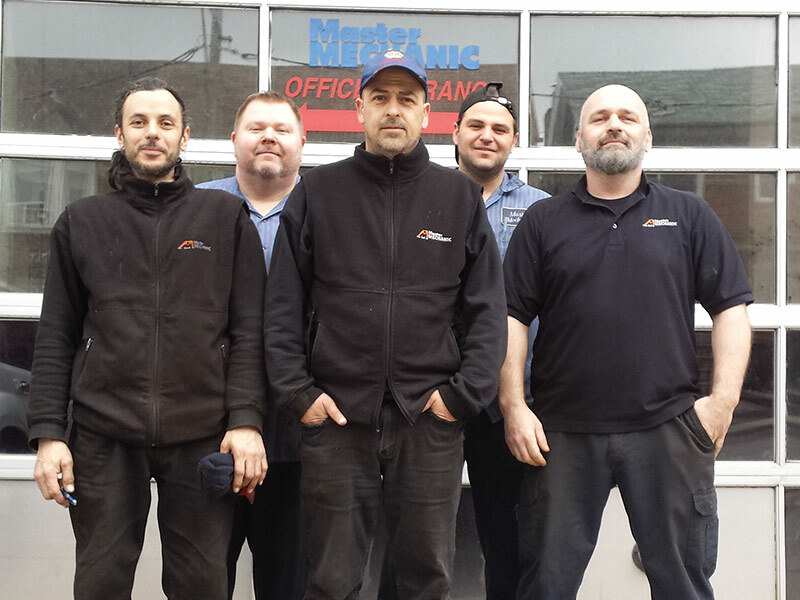 "Frank and his team are the best mechanics in the city. They are knowledgeable, professional, and go out of their way to get you driving again when you rely on your vehicle for work. I can't say enough good things about this place. It is important to have a mechanic you can trust. Frank is that guy. " "I take my car to this location for all services. They are honest, attentive, and always helpful. " "I have been going to Frank for over 4 years. I have been to many other mechanics in my life, but none of them have treated me like frank has. He never talks down to me because I don't know as much about cars as fully trained mechanic. He's always pleasant to deal with. Once when I when in with squealing brakes, Frank fixed them, and then charged me $0. ZERO!!! I couldn't believe it. Whenever I go in the problems are dealt with quickly, and at a reasonable price. " "I have been going to Master Mechanic Dupont for the past 8 years for service on my cars as well as my father’s. The service has always been friendly and courteous. Frank has always explained things that I needed and to be watchful of regarding cars and his approach is honest. He is someone who definitely wins your confidence and trust. It is clear he is a knowledgeable person. When I bought a second-hand car, Frank was the go-to-person, who gave me an evaluation of the car. I trust his opinion. I am a librarian in the Dupont neighbourhood. When our students were learning about people and work in our community, I invited many guests, one of which was Frank to talk to the students about his work. He brought in tools, horns, wrenches and nuts and bolts!they had fun and our photo gallery on the wall in the school highlighted the careers of our guests. Frank’s picture was recognized by many of our students, their parents and grandparents. Everyone was proud to say he was their mechanic. He is well known in our neighbourhood and gives back to the community!I would not hesitate to recommend him. " "We would like to thank you, Frank, for the professional and friendly service you gave us in taking care of our car during our recent problem. Thanks also for calling the taxi when we were without wheels. " " I first went to the Dupont location several years ago in the hope that I would find a reliable and fair mechanic!looking after cars and trucks seems like a difficult business and I was wary of the “neighbourhood’ garage. Instead, I found Frank, whose enjoyment seems to come from serving the neighbourhood and establishing a solid relationship with his clients. I have 6 vehicles off warranty that range from classic antiques to functional work vehicles and I now rely on frank for solid advise and competent dependable repairs and service. Whether it’s a modest problem with a starter, a more serious issue or just a chance to get new tires, Frank has always provided me with exceptional service at a fair price. In fact, I don’t take any of my vehicles anywhere else. MM should be proud of Frank as an ambassador of the brand and Frank should be prod of himself and his team for serving the community so well. I have nothing to gain for such an endorsement!I simply feel that the combined efforts of his team outshine all others. " "Too often people look at the negative and forget about the good things that are done for them. Let me tell you a story about one of the good people, Frank at the MM Dupont store. Last Friday my 18 year old son’s car broke down near the MM store. The next morning I phoned Frank, never having been there before and he took care of us right away. But here is the really good part...I live in Brampton, quite a hike from the Dupont store. Frank fixed the car at a fair price and drove the car to my house in Brampton...unbelievable! I know frank lives in Brampton, but he did not have to do that. Again, amazing service. Please recognize Frank for his supreme effort...MM now has a new customer for a very long time."